With WCW in a complete tailspin at the turn of the millennium, largely thanks to the disastrous direction of proclaimed genius but apparent charlatan Vince Russo, a tether deficient Bill Busch decided it was time for action. The Executive VP sent the motor-mouthed New Yorker effing and jeffing back to Long Island, replacing him with a crack booking team headed by Kevin Sullivan. The company's talent - at least, what was left of it - did not meet the news with universal approval. Legitimately concerned their spots would now be imperilled and the old old guard ushered back in, several immediately handed in their notices. Sullivan, desperate to retain his most promising stars as WCW swirled ever closer to the drain, made promises to all the would-be departees. 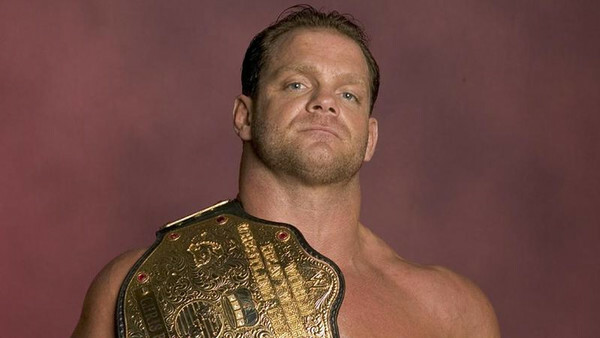 Chris Benoit, his most valuable asset, was his hardest sell. The pair had residual bad blood following Benoit's affair with Sullivan's wife Nancy years earlier, and the new booker knew he'd have to take a drastic measure to assuage the Canadian's reservations. At Souled Out 2000, Sullivan slapped the vacant WCW World Heavyweight Championship on The Crippler, supposedly as a way to merit years of hard work and not as a bargaining chip. Either way, it didn't work: Benoit walked from the company the very next day, taking his Radicalz pals with him.